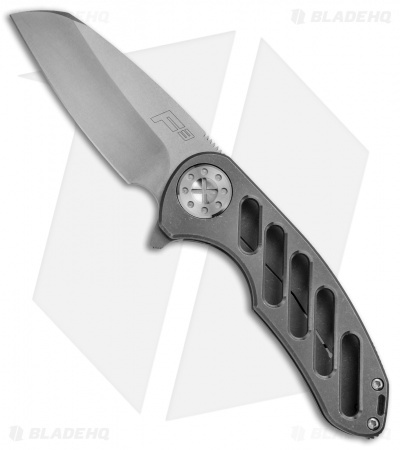 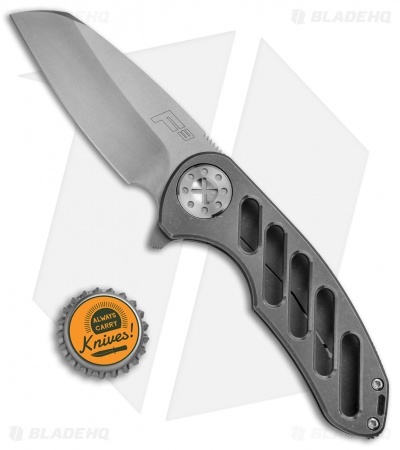 This Curtiss F3 Medium Folder features a stonewashed wharncliffe blade made from CTS-XHP stainless steel blade. 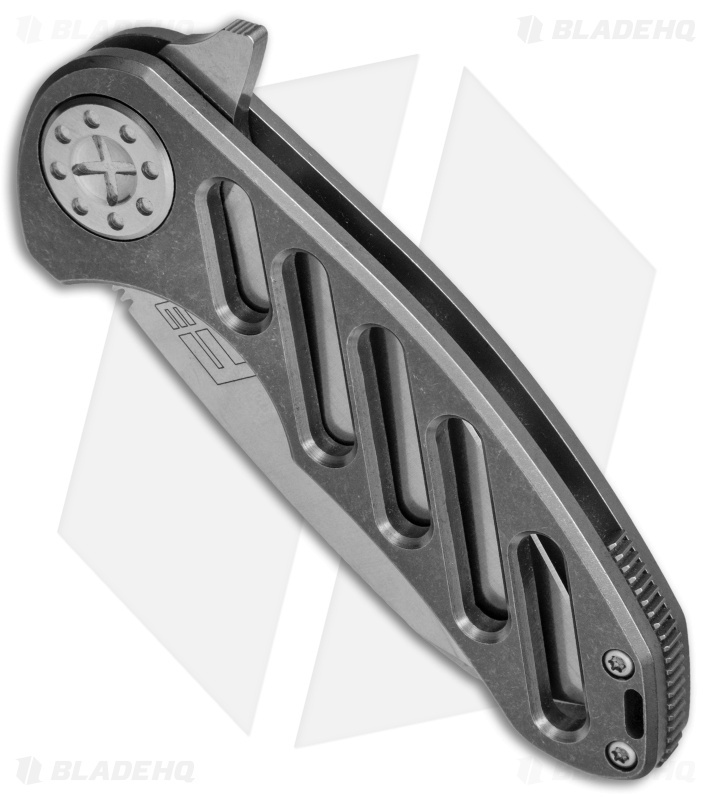 It has a dark stonewashed titanium frame lock handle with OvalTac milling along the front to reduce weight. 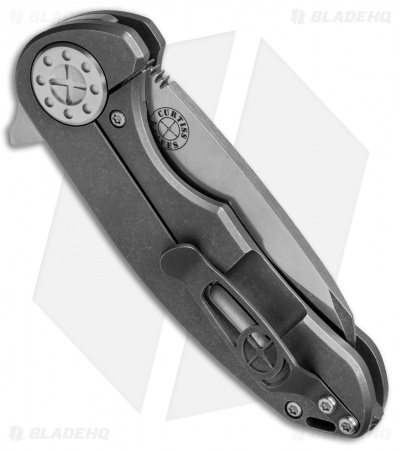 Blade deployment is responsive, smooth, and results in solid lockup. The knife comes outfitted with a notched backspacer and a recessed titanium pocket clip.